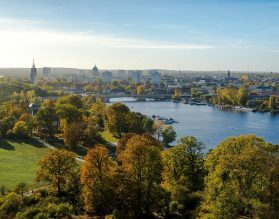 Exeter International has been expertly planning custom travel itineraries to Munich for well over a decade. Ernest Hemingway famously said: "You do not even go somewhere else, I tell you there's nothing like Munich. Everything else is a waste of time in Germany." 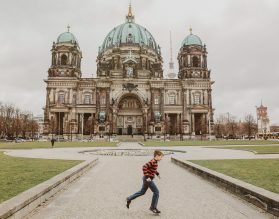 While we disagree with Mr. Hemingway and believe Germany has so much more to offer than just Munich, it really is an exceptional city. Gwen Kozlowski, General Manager of Exeter International has been recognized as the expert in deluxe travel to Germany by Conde Nast Traveler, Travel + Leisure and is a Wendy Perrin Wow Trusted Travel Expert for Central Europe. München (known as Munich in English) means “by the monks” and is so named because a Benedictine monastery once stood where the Old Town is today. Dating back to the 12th century, Munich has been a city of great historical significance since its founding. Founded as a fortified trade settlement on the bank of the Isar River in the 12th Century, Munich was later granted a monopoly in the salt trade, which was important in the Middle Ages, thus gradually growing in wealth and importance. As the ducal residence in the 15th century, Munich became (and is still) a fine example of Baroque and Gothic architecture in Germany. Over the centuries, Munich has also served as the capital of the Kingdom of Bavaria during the 19th century. It’s most famous king, King Ludwig II, really made Munich a cultural and artistic center of Europe. 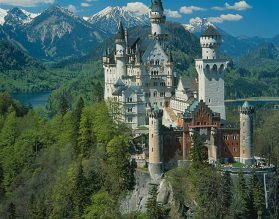 He famously commissioned many of Munich’s most lovely castles and palaces, including Neuschwanstein. Munich also played a critical role in WWII, and although largely devastated during the war, meticulously rebuilt to its former glory post-1945. While beer and Oktoberfest may be the first two things that pop to mind when thinking of Munich, Munich today is still one of Germany’s main centers of art, science and culture. Marienplatz is the central square and the hub of all activity in Old Munich. The Neues Rathaus (Town Hall) and the Hofbräuhaus (the most famous Beer Hall) are all in this area. While Oktoberfest (mid-September to early October) is one of the busiest times to visit, we love Munich in December for its gorgeous Christmas markets and lively holiday festivities. If art catches your fancy then the Alte and Neue Pinokathek are a must. For architecture buffs, it is worth visiting the Nymphenburg Palace or Neueschwantstein. 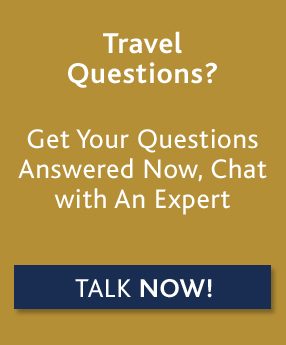 For custom luxury travel and tours to Munich and Germany, please contact one of our travel experts, or read on below for more information about where to go and when, along with our Insider's Guide. If your images of Munich are those of snow, mulled wine and Christmas Markets, winter is the perfect time to visit. You will also almost have the museums to yourself and the top hotels offer the best value at this time of year. The climate is ever unpredictable during the winter and temperatures can fluctuate from 37 degrees Fahrenheit to 28. April and early May are a perfect month to visit, the start of Spring, and prior to the start of river cruise ship season. Late May to the middle of October are peak season for Munich, with the tail end of peak season seeing the world-famous Oktoberfest attract visitors and locals alike. The summer boasts comfortable temperatures, averaging in the 50’s-70’s F, with long but often rainy days. 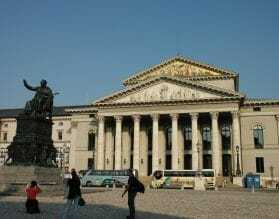 Opera and Concert performances are available year-round in Munich’s National Theater (and in other venues). 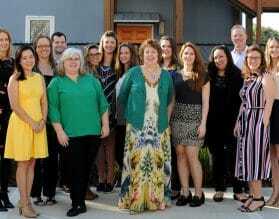 Our team of travel experts can customize a unique program for you based on your exact preferences and interests. We suggest you allow a minimum of four nights in Munich to explore both the city and the surrounding countryside. Munich combines wonderfully with Salzburg and Vienna, or with Dresden and Berlin. If you are on a Danube river cruise embarking or disembarking in Nuremburg, we can arrange a private pre/post cruise extension with your own Exeter hand-picked private guide. Our private pre and post cruise extensions ensure that you’ll receive not only the best experience possible, but personalized service throughout, allowing you to maximize your time in the city. Germany lends itself well to self-drives through the beautiful countryside on the world-famous autobahn. Contact one of our travel experts today to help you plan your perfect self-driving adventure! One place that is not on everyone’s must-see list (but should be) is Munich’s BMW Welt. Located a short metro ride away, BMW Welt is an amazing day out for car enthusiasts and families alike. This automobile museum is also a working assembly plant where visitors can learn the history of Bayerische Motoren Werke, as well as, experience a guided tour through the assembly line and testing facilities. Munich is a city that has much to offer in its restaurant scene. It has multiple Michelin starred restaurants and a variety of dining experiences from the most sophisticated to the most casual. This extremely diverse restaurant scene means a huge array of choices for your dining. Local delicatessens (Dallmayr & Käfer Schänke) are not to be overlooked for a quick snack or a formal meal. Local specialties include sausage and beer (of course) and we highly recommend indulging in some of the food stalls in the Viktualienmarkt (in the center of town). For those for a traditional Bräuhaus experience, a little more off the beaten path, we suggest a visit to the Schneider Bräuhaus München, conveniently located just off of Marienplatz in the city center. Since the middle of the 1500’s there has been a brewery in this exact spot, though it wasn’t until the last quarter of the 19th century did the Schneider Bräuhaus become what it is today. George I Schneider was the first commoner to be granted permission to brew weisse or wheat beer. Not only is the beer at Schneider Bräuhaus delicious, but it bostas a menu full of delicious traditional Bavarian dishes. While in the city center, you’ll be able to find just about anything decorated with the blue and white Bavarian flag, for something more authentic, we suggest a hand carved wooden piece as a memory of your time in Bavaria. Holz Leute, located in in Central Munich, has a number of designs from homeware to Bavarian folk art to Christmas-themed smokers. Alternatively, a genuine German stein makes a great (and useful) souvenir!